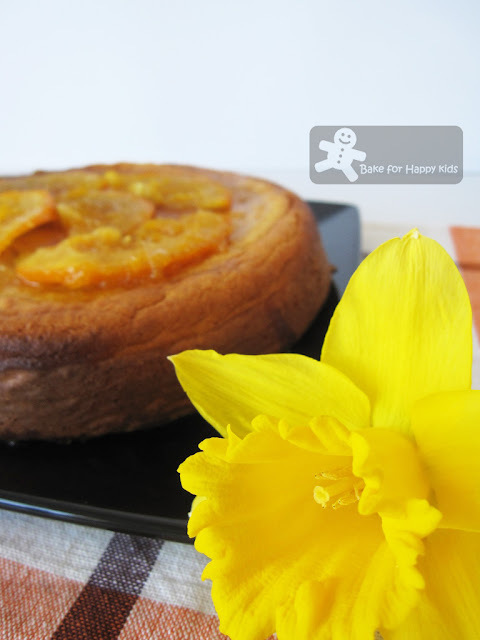 Most importantly, this cake is baked to remember Daffodil Day. In Australia, Daffodil Day is a major fundraising event for raising essential funds for cancer research, prevention and support services. On this day, I would like to commemorate an important person of my life who has passed away due to cancer. This person loves yellow flowers very much and even had yellow flowers for her wedding bouquet. Seeing daffodil blooming at this time of the year reminds me a lot of this person. The person is my mum. "Mummy, I miss you." Last year, I've started this blog, baking cupcakes for Daffodil Day fund raising. A year has passed and I'm amazed that I have learned so much for my first year of extensive baking and food blogging. Happy 1st blogiversary to me! 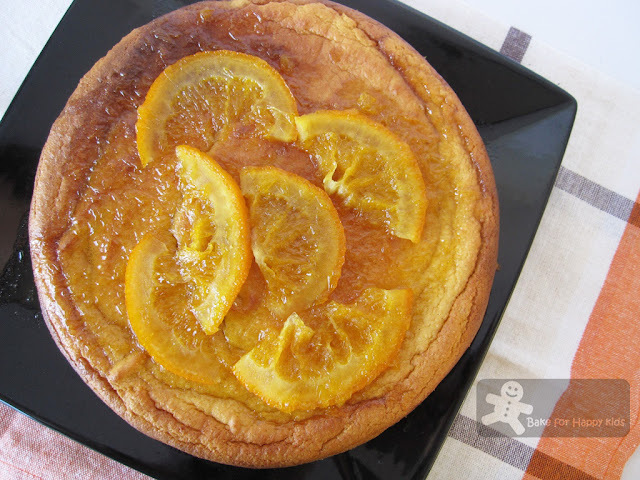 Prior to my blogging days, I have baked orange flourless cake before for more than a couple of times and love this bittersweet cake for lots of reasons. Good to know that there is no fats or oil added into this cake. It has lots of great flavours and goodness from orange, almond, vanilla and cardamon, and we (including my toddler son) simply love it for its bittersweet taste. 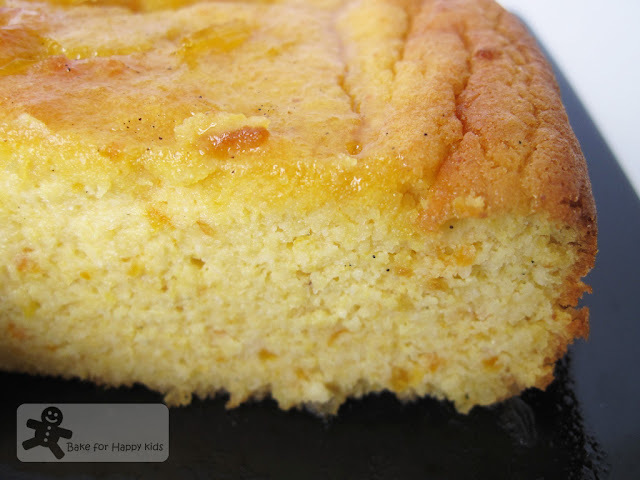 However, if you prefer a sweet syrupy version of this cake, you may wish to stick to its original recipe as I have reduced the total amount of sugar by 130g which is more than 1/2 cup of sugar. *Both replace with freshly squeezed juice from 3/4 of a large navel orange and thinly slice the rest of 1/4 orange for the syrup. Grease deep 20cm round cake pan (I use a 22 cm springform pan instead), line base with baking paper. Place whole orange in medium saucepan; cover oranges with hot water. Bring to a boil; reduce heat, simmer,covered about 2 hrs or until oranges are tender. Replenish water with boiling water as it evaporates. Drain oranges, cool; discard water. Preheat oven to moderately slow. Blend or process almonds and sugar until almonds are chopped coarsely; transfer mixture to medium bowl. Quarter whole oranges, discard seeds; blend or process until smooth. With motor operating, add eggs one at a time, process until combined. Add almond mixture, baking powder and essence; process until just combined. Spread mixture into prepared pan; bake in moderately slow oven (my oven temperature is 160° fan forced) for about 1 hr. Pour hot citrus syrup over hot cake in pan. Stand cake in pan for 30 min. Turn cake onto wire rack over tray. Serve warm or cold with caramelized orange and lime rind, if desired. Citrus syrup: Combine ingredients in small saucepan; stir over heat without boiling until sugar dissolves. Simmer uncovered without stirring about 5 min or until slightly thickened. Flourless cake looks super irresistible;. I'm the first. So, do I get to partake this yummy cake with you. This is a must-try for me! Hi Zoe, Happy 1st Blog Anniversary! Never realized that your blog is only one year old! This is a lovely cake to bake for so many special reasons, especially to commemorate your mom, mothers are a class of their own, truly special. Here's to another year of wonderful blogging, my friend! Cheers!!! Happy blogerversary! What a nice way to remember your mom! I have tried baking with almond instead of flour and loved it. Great low carb recipe...:)! Happy 1st anniversary!! This flourless cake reminds me of the flourless choc cake we baked previously. Lovely cake, lovely post!! happy 1 year zoe! for some reasons it feels like you've been blogging longer than that! must be coz of how much you bake!! :) i find that im starting to reallly like the orange/dark choc combination these days...so addictive as im sure this cake is! This looks wonderful. I'm always looking for new (successful!) way to use almond flour. I just pinned this to try soon. Thanks! Terrific! I usually only see chocolate flourless cakes, this will certainly be something I will try and share with others! This was such a sweet post! 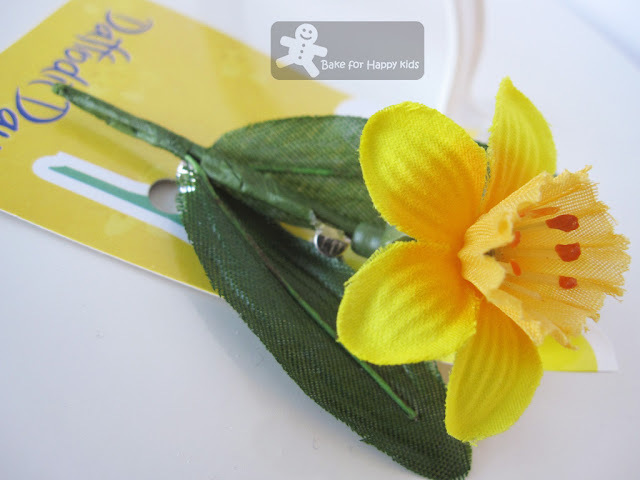 Happy Daffodil Day to you and congrats on your blogiversary as well! Happy 1st Blog Anniversary!!! Love cakes with almond and citrus. Did you say flourless!!! Great! I will definitely make some... I am out of flour :) Thanks for the lovely idea! Happy blog anniversary. We too have a daffodil day in the US held in the springtime. It's a nice way to remember you mother by particapting in a cause that means so much to so many. The cake looks delicious. I haven'y baked too many flourless cakes before. Your directions are fairly simple and we love any type of citrus fruit desserts in my house. Belated happy 1st Bloggisary!! Love cake for a love occassion. The texture of the cake looks perfect. Happy 1st Blogsary! I was in Mel early June and since it's the beginning of winter, didn't get to see our country's wonderful blooms that much. Your cake looks very perfect!